Utah County Mom: Win your own Organza Flower Headband! (ENDED) 4 winners! Win your own Organza Flower Headband! (ENDED) 4 winners! Now YOU have a chance to win an Organza Flower Headband in your choice of color(s)! 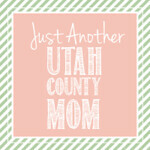 All you have to do is "like" my new facebook page Utah County Mom here. Already "like" it on facebook? You're already entered. Want an extra entry? Just share this giveaway on facebook and leave a comment on Utah County Mom's wall on Facebook or on this post telling me you shared it. 4 winners will win a headband of their choice. Contest ends April 19 at midnight. At the end of the contest I will randomly pick four of the people who "like" my page (adding extra entries to those who shared it on facebook) to win. You can learn how to make your own Organza Flower Headband here. Already like dear, and of course I shared.. Love it! 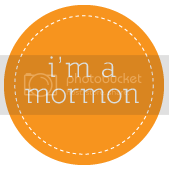 I liked the Utah County Mom on Facebook! I liked and shared this on facebook :)! I tagged you in the post so it is on your wall. Glad I found you. I like you on FB. Thanks! Shared on FB! Thanks for the giveaway! Beautiful! Click here to see FB status.